A flat tire would ruin anyone’s day. It can also wreck your budget and leave you scrambling for cash. Check `n Go Oxford is here to lend a helping hand with life’s unexpected expenses. 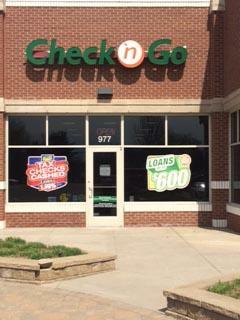 * Check `n Go Oxford offers payday loans from $50 to $600 that can help get you back on the road. Check `n Go Oxford is conveniently located next to Verizon Wireless on South Lapeer Road. In addition to payday loans, Check `n Go Oxford offers Netspend® Prepaid Mastercard® designed to keep you moving forward. Our customer service associates can help you choose the right loan option to fit your needs. Choose Check `n Go to help cover life’s unexpected events.